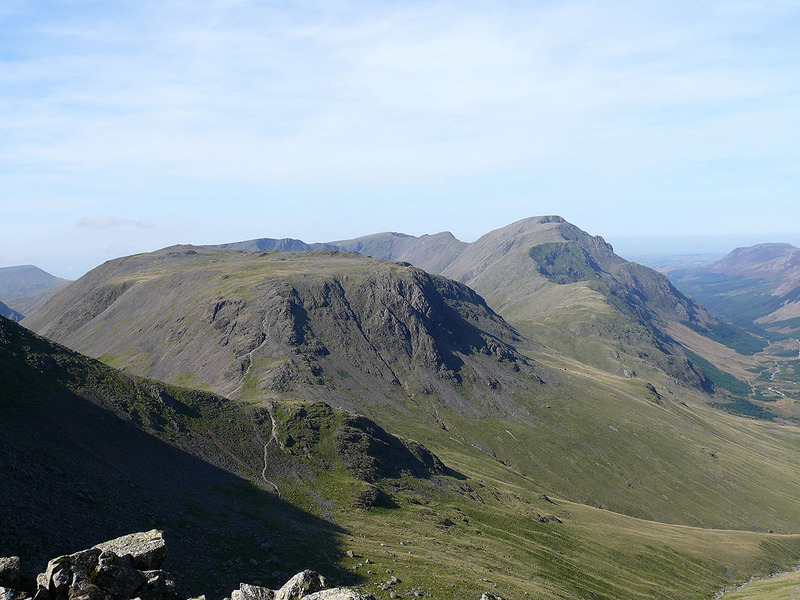 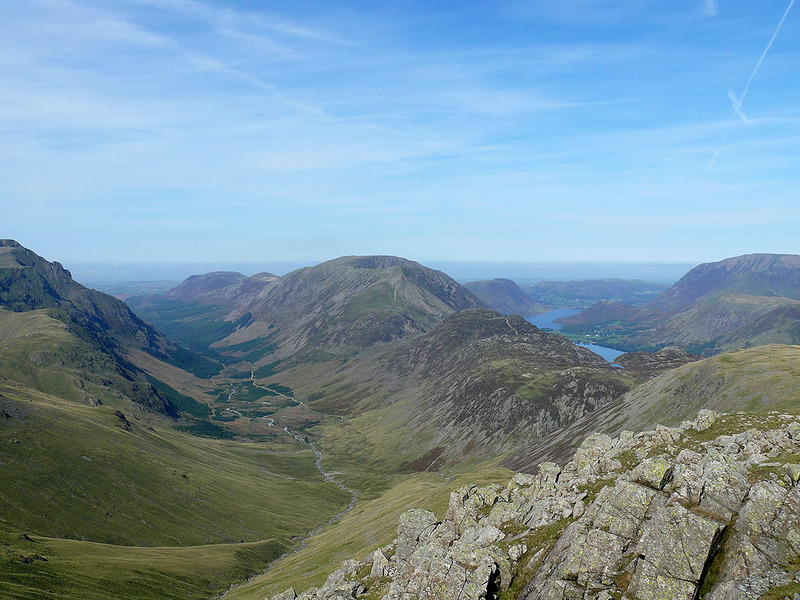 A walk up Great Gable on a beautiful day. 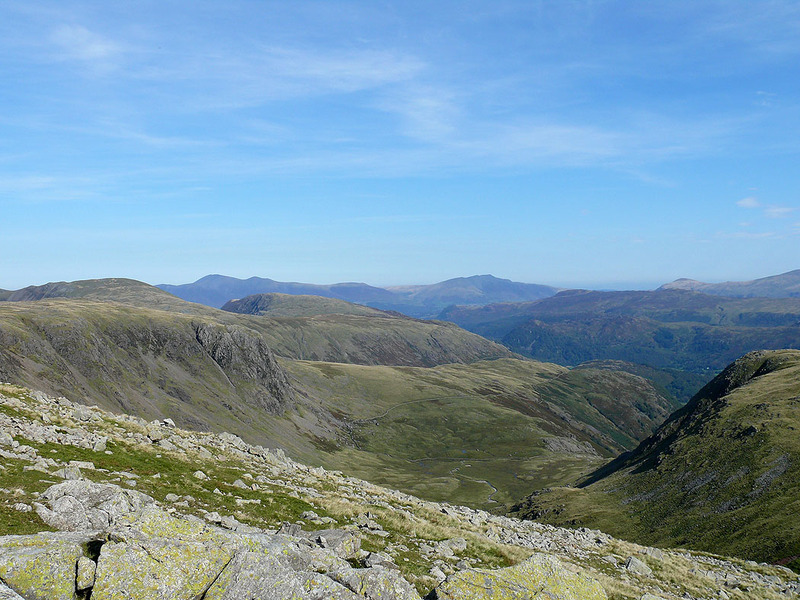 I left Seathwaite and took the path up by Sourmilk Gill and into Gillercomb and then upto the summit of Green Gable. 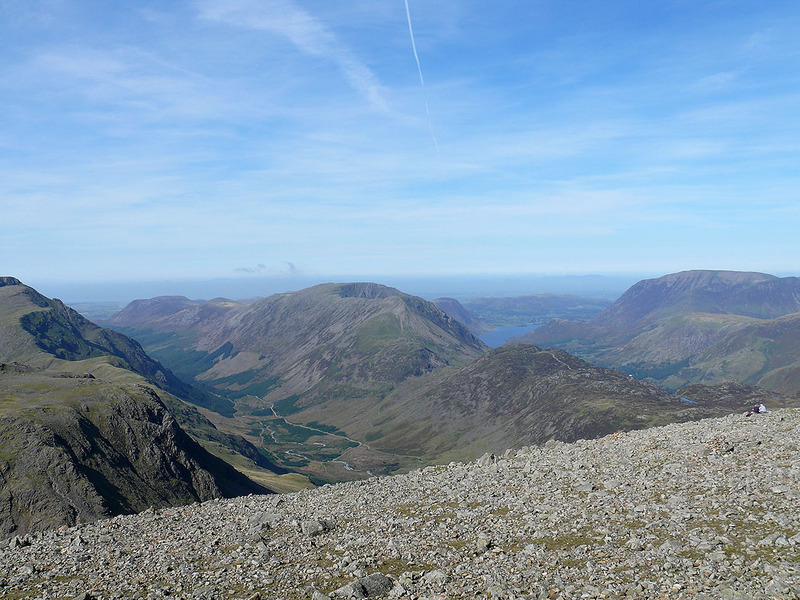 I then crossed Windy Gap and made my way to the summit of Great Gable. 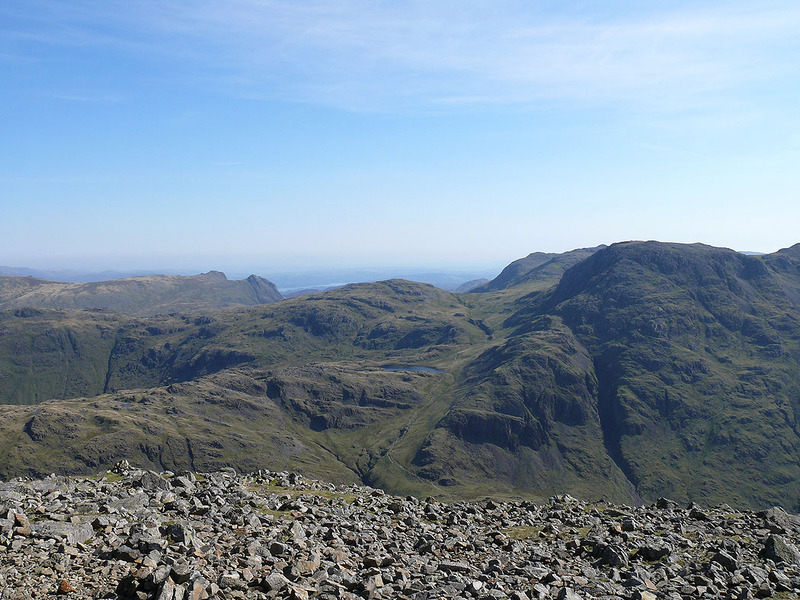 From Great Gable I then used the Breast Route to make my way down to Sty Head from where I took the path down by Styhead Gill down to Stockley Bridge and then Seathwaite. 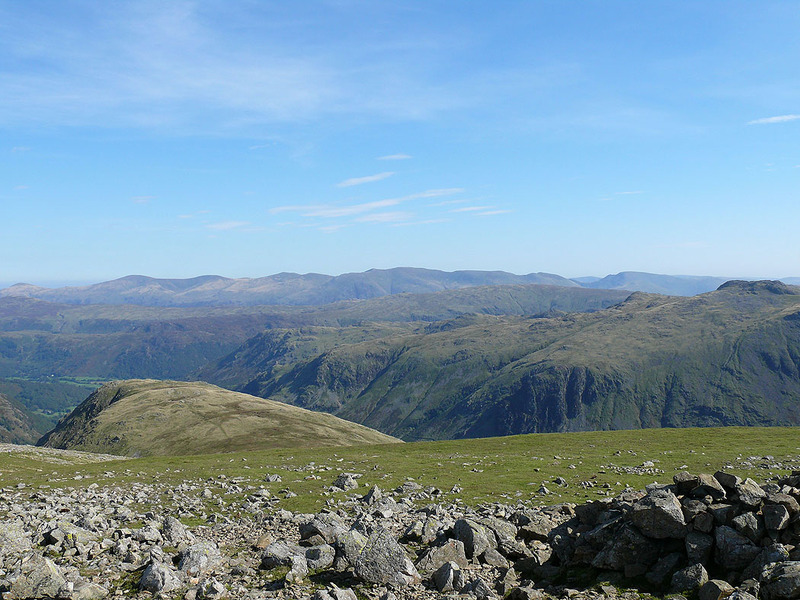 Making my way up to the summit of Green Gable. 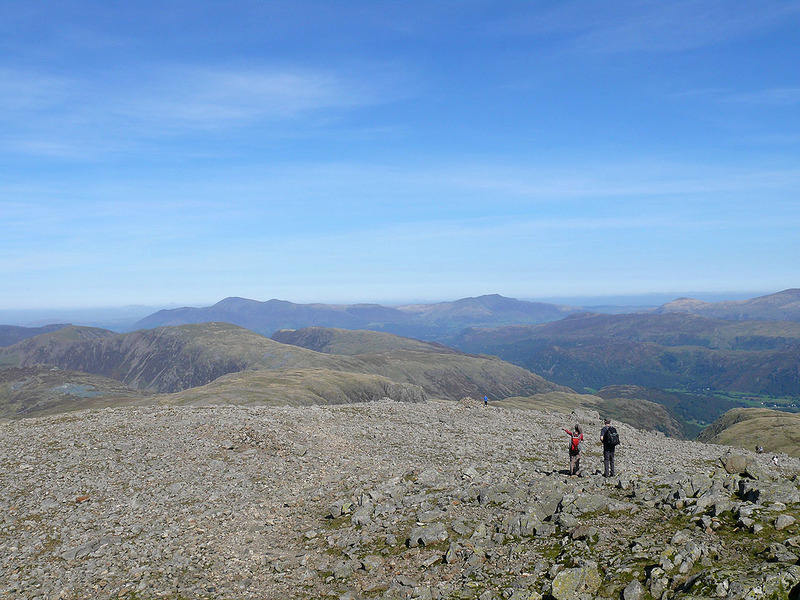 Raven Crag and Gillercomb below with Skiddaw and Blencathra in the distance. 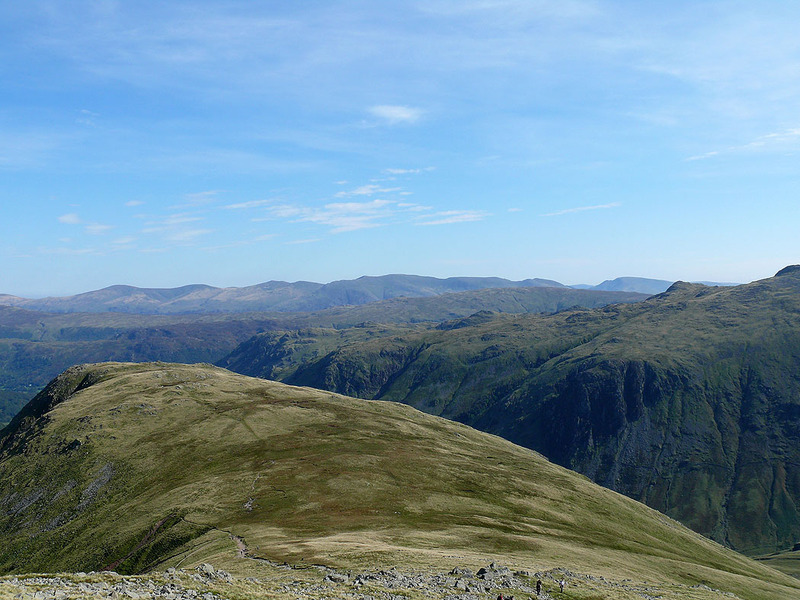 Seathwaite Fell and the Glaramara ridge. 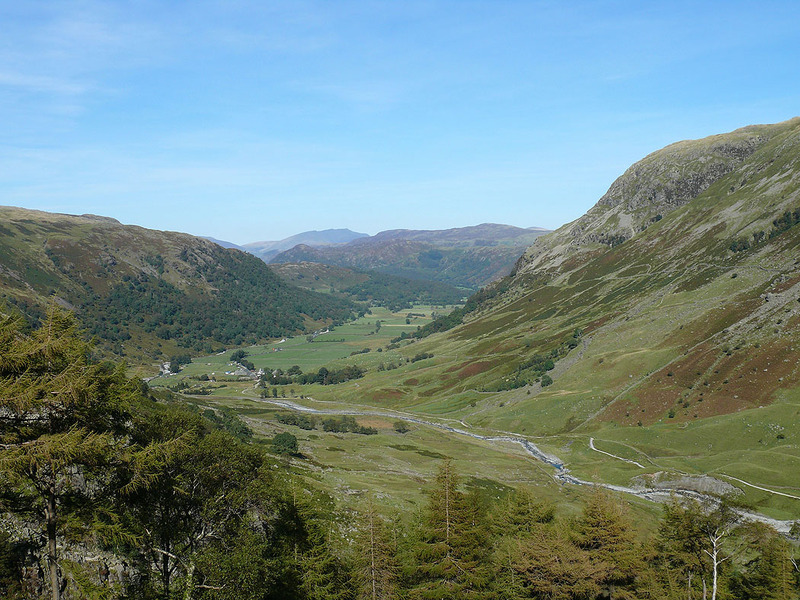 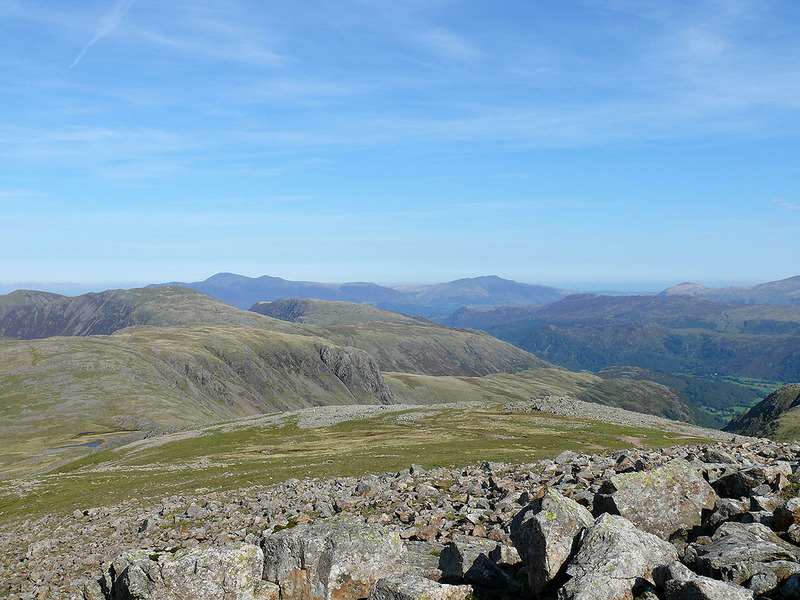 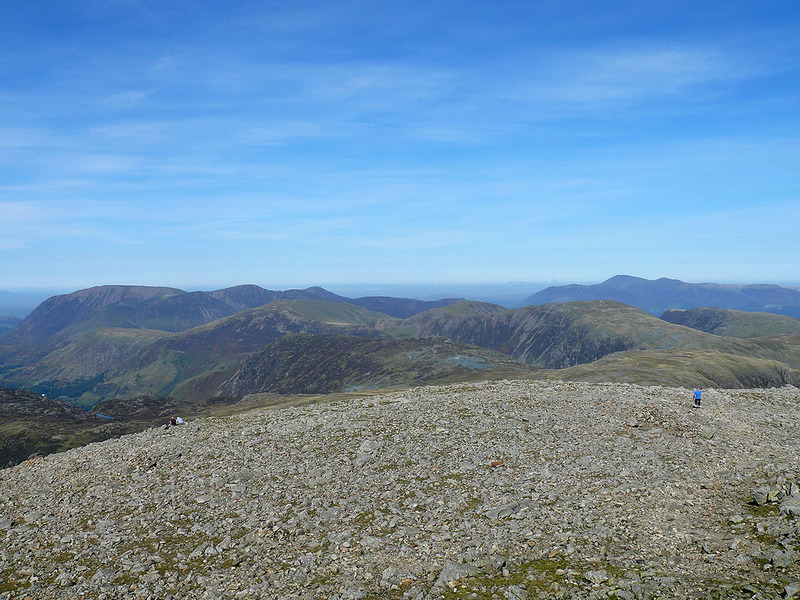 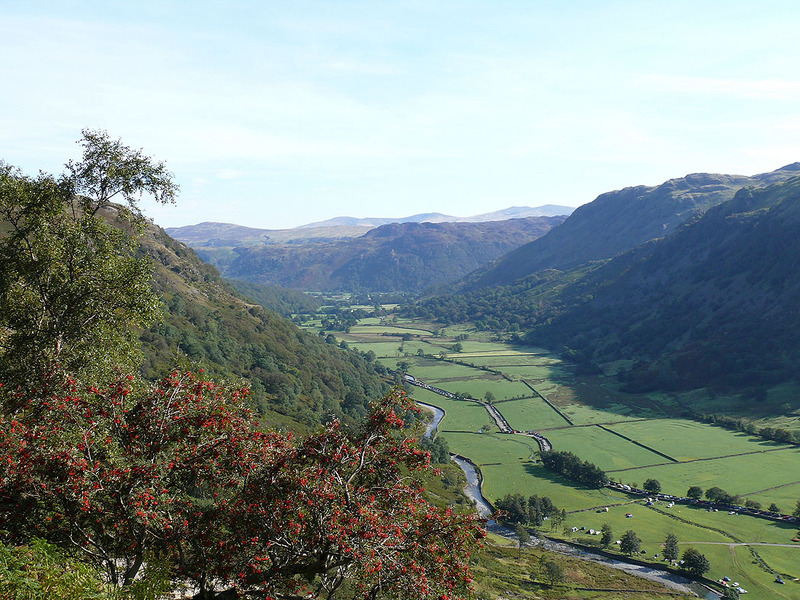 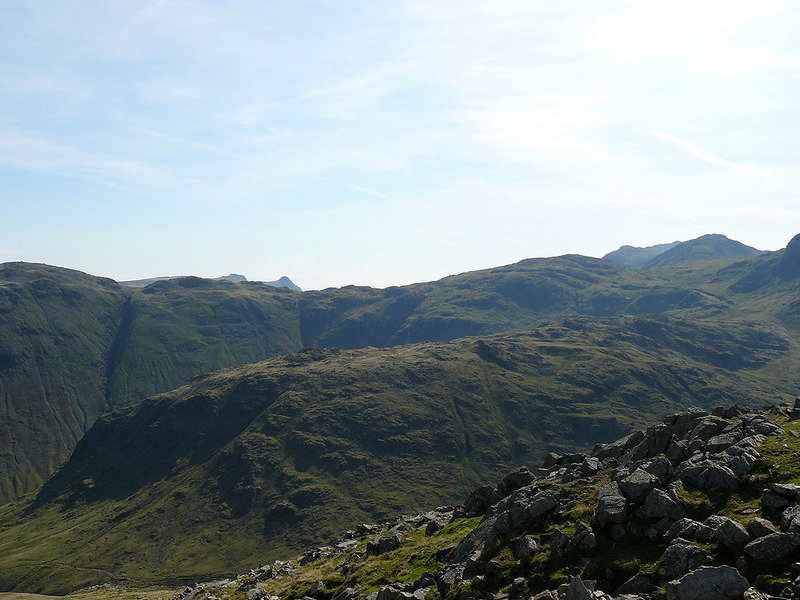 You can see the tops of Harrison Stickle and Pike o'Stickle over the Glaramara ridge. 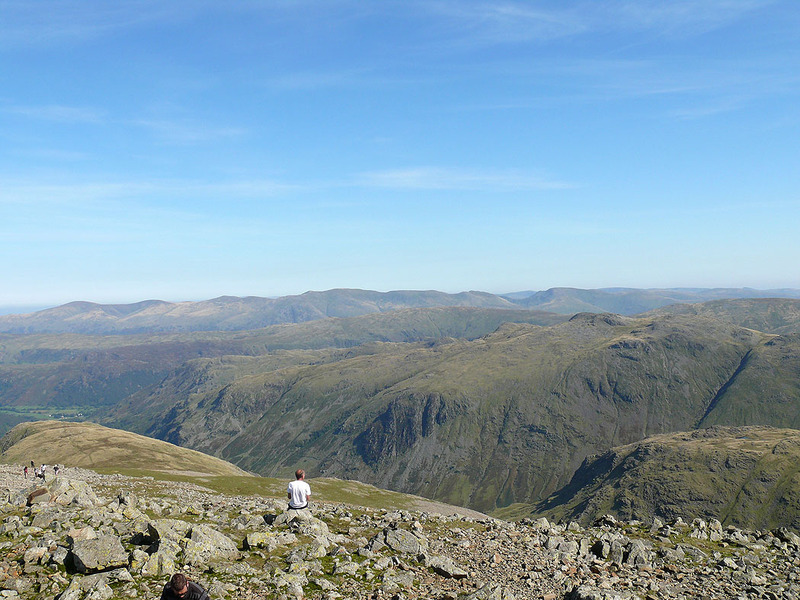 On the summit of Green Gable. 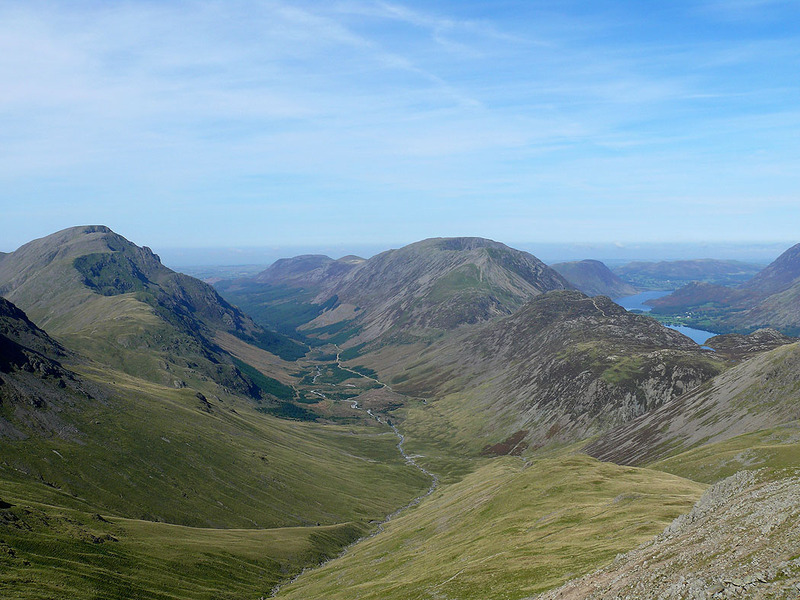 The view down Ennerdale with Pillar on one side and the High Stile ridge on the other. 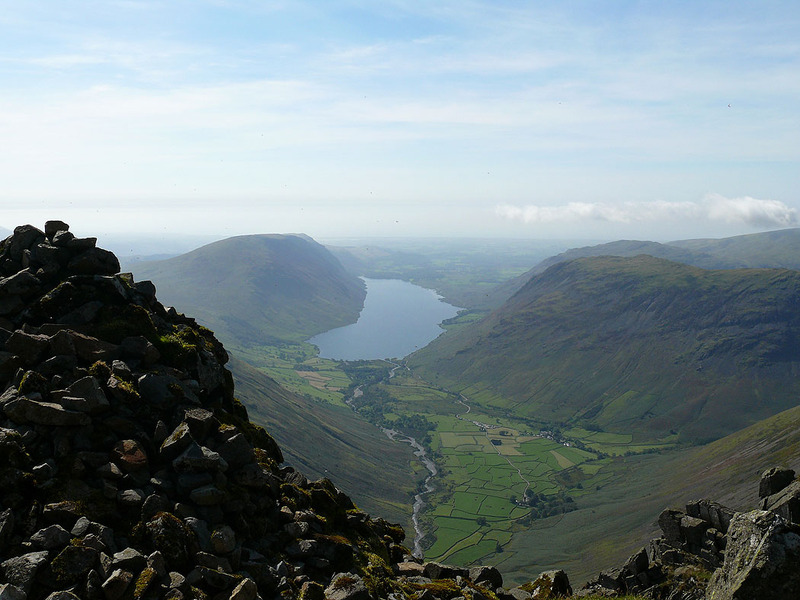 On the summit of Great Gable. 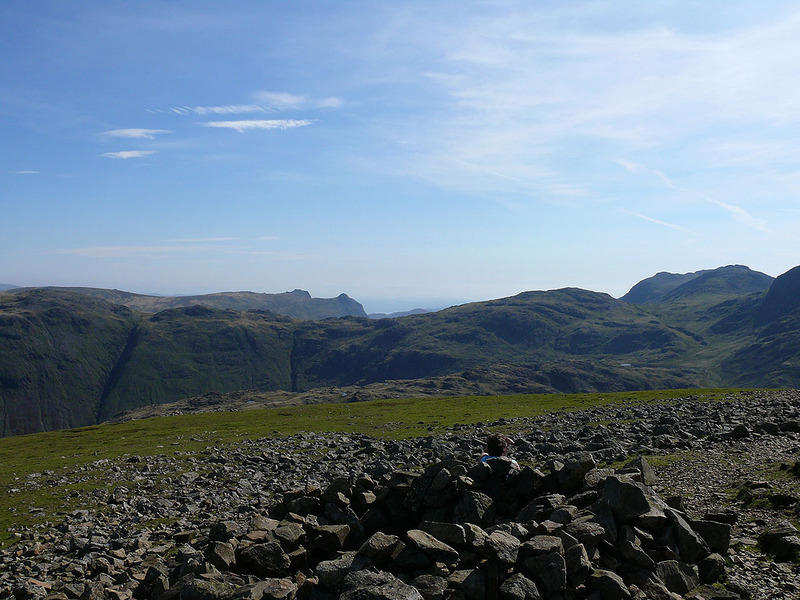 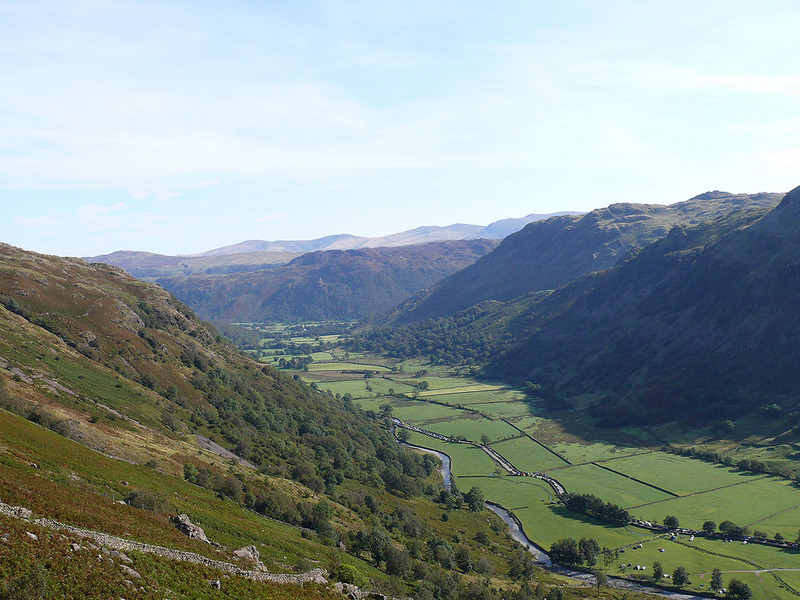 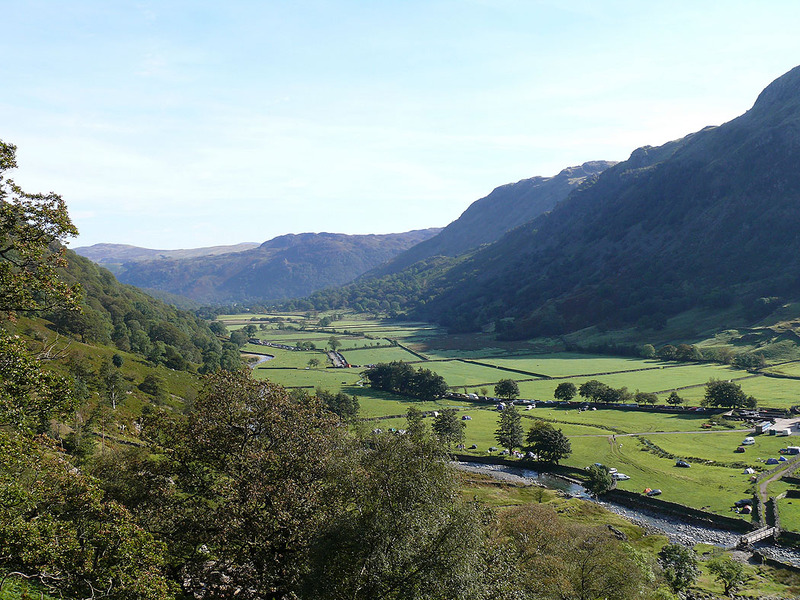 The view across to the Langdale Pikes, Allen Crags and Great End.